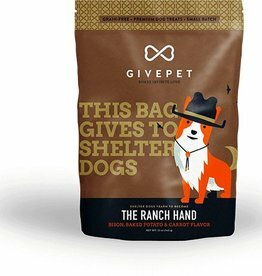 Give Pet The Ranch Hand Bison, Baked Potato & Carrot Flavor Dog Treats, 12 oz. 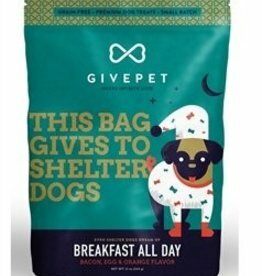 Give Pet Breakfast All Day Bacon, Egg & Orange Flavor Dog Treats, 12 oz. 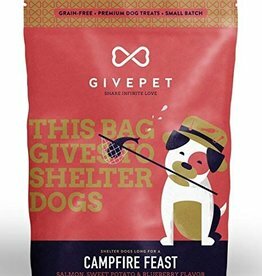 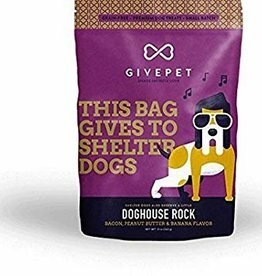 Give Pet Campfire Feast Salmon, Sweet Potato & Blueberry Flavor Dog Treats, 12 oz.